Hexvessel, founded 2009 by Mat “Kvohst” McNerney in Finland, has created a very unique sound mixing British, Irish and Scandinavian Folklore. 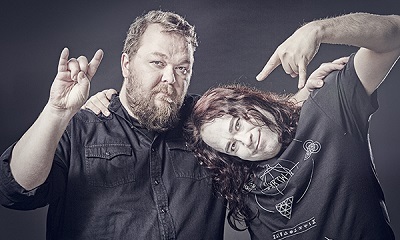 Mat has gained front man experience in his homeland via Punk- and Extreme-Metal bands and in Norway with Black Metal bands – yet the sound here is quite peaceful. As a songwriter Mat cooperates with Andrew McIvor to create songs in the oral tradition of the old balladeers, weaving everyman stories and bringing alive a sense of shared purpose and spiritual history. 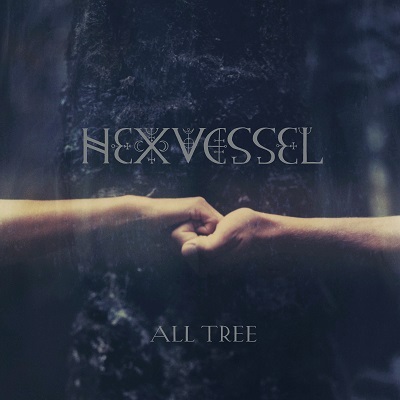 This is why you cannot expect any camp fire romance here although the fourth Hexvessel album focuses on acoustic style. Sometimes a violin dominates, sometimes the songs carry an atmosphere as if recorded live by the whole band (which should describe the authenticity, not the sound quality). As an Austrian I have to think of Ludwig Hirsch listening to those partly melancholic-sinster, partly mystical and then again so beautiful melodies and those sometimes sarcastic sounding lyrics. On an international level I would use Nick Cave, Lou Reed and Tom Waits as comparison – mainly because of the feeling those songs invoke, not because of the voice. Some tracks could be used in a horror movie (e.g. the instrumental Visions of A.O.S. ), some are so smooth (Sylvan Sign, Ancient Astronaut) or provide ear candy (Wilderness Spirit); Birthmark rather works as an evil rock ballad. All in all very archaic, primeval and visionary, as if being transported into a dreamy parallel universe.